Start here for answers and advice - Ning 3 Help . We give you the 1-2-3 punch you need to get up and running quickly. Whether you’re just finding your first members, looking for ways to engage your current community, or wanting to manage your community professionally, our growth page has the resources to help you. Stop by to check out best practices, watch webinars, or enroll in a free community management course. Need some help with the Design of Your Network? 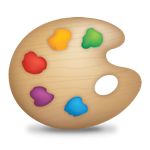 The Design Studio is the place to pick a theme, a color scheme, add your network logo and background image and more. We’ll also show you how create a custom header and give you plenty of resources if you want to go further using CSS. You’ll undoubtedly need to help the Members of Your Network at some point. We can provide you with all the details about member controls, privacy options and messaging. This section of the Help Center is all about community management, so start here if you need info about helping your members. Something not working as expected? We have some very handy Troubleshooting articles that can probably provide a quick answer. You can also reach our support team directly from the “Support” link located on your administrative dashboard. 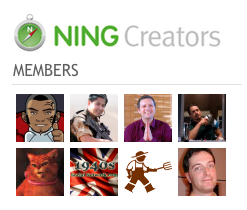 Additionally, Ning Scale subscribers will find a direct phone number to our support team on the dashboard. We’ll do our best to get you fixed up! Have a great idea for a site, but no time to build it? 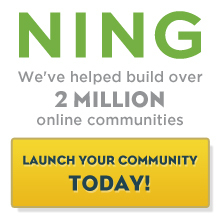 Not sure on the right approach to creating your Ning site? Have a great idea and looking to make it happen? Check out these NCs for Hire! These are long-time, savvy Network Creators, interested in helping you make your vision a reality!